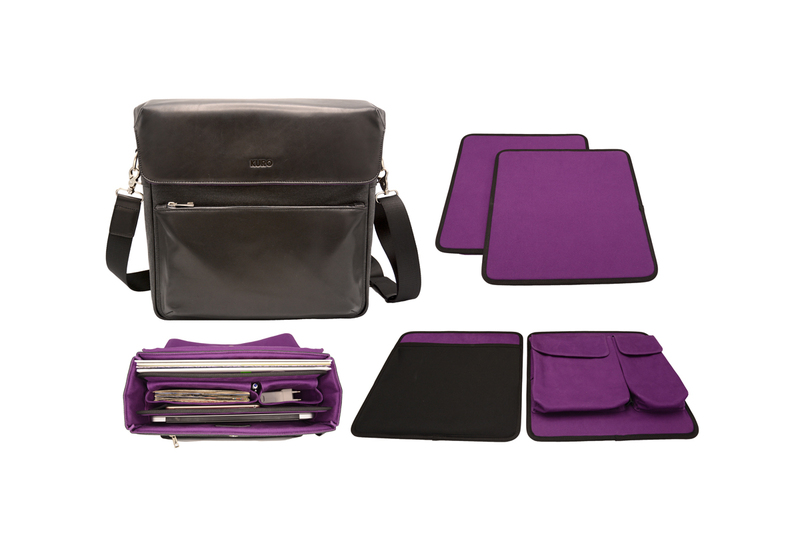 With a dedicated 7” pocket and flexible dividers. 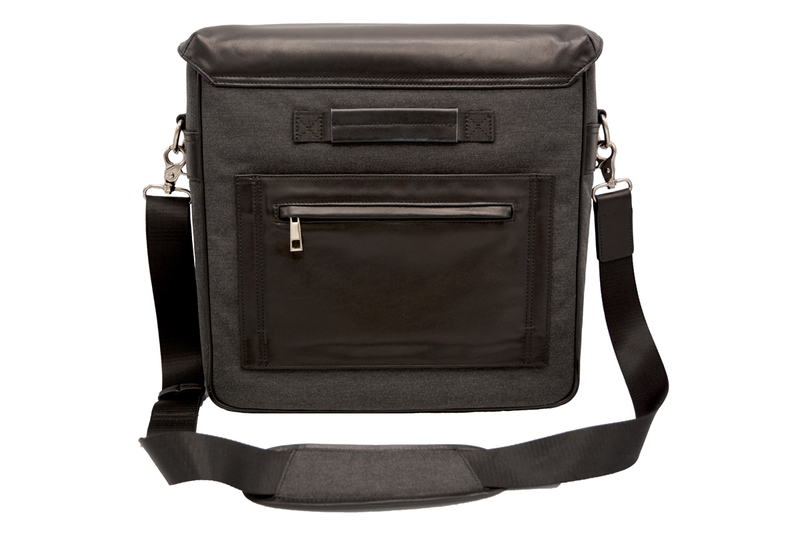 Record collector and designer Daniel Spijker has created a limited-edition modular bag for carrying your vinyl. 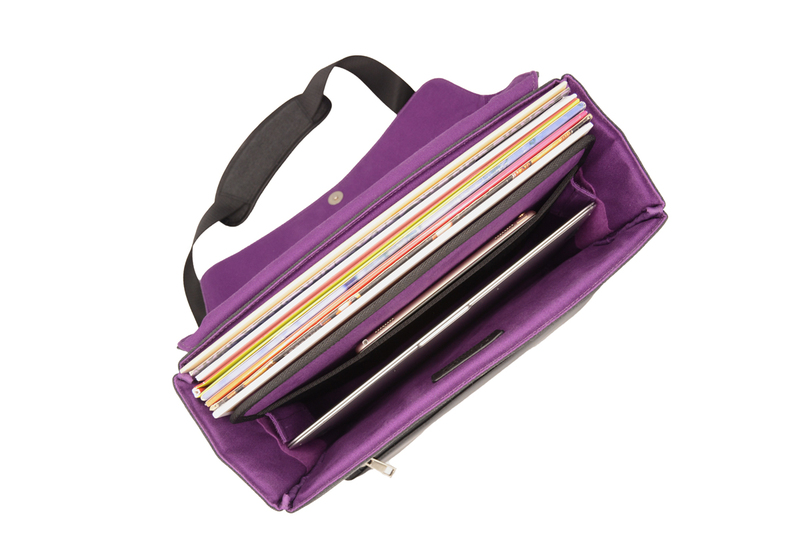 “The idea was born out of sheer frustration of not being able to safely carry around records in the same bag I use for work, travel and everyday commuting. I tried and tested so many bags out there but they always felt like a compromise,” explains Spijker. 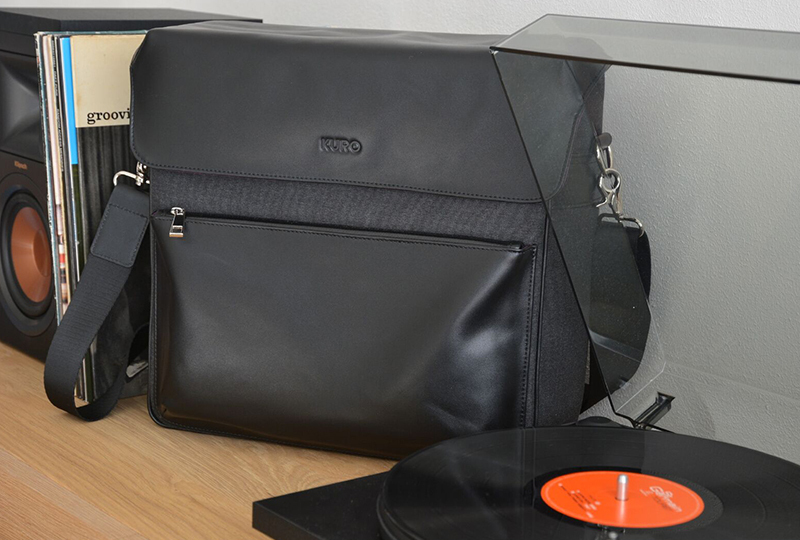 The KURO Record Collector Bag features a leather-accented exterior, cotton twill interior, flexible, removable dividers, and can hold up to 30 LPs. 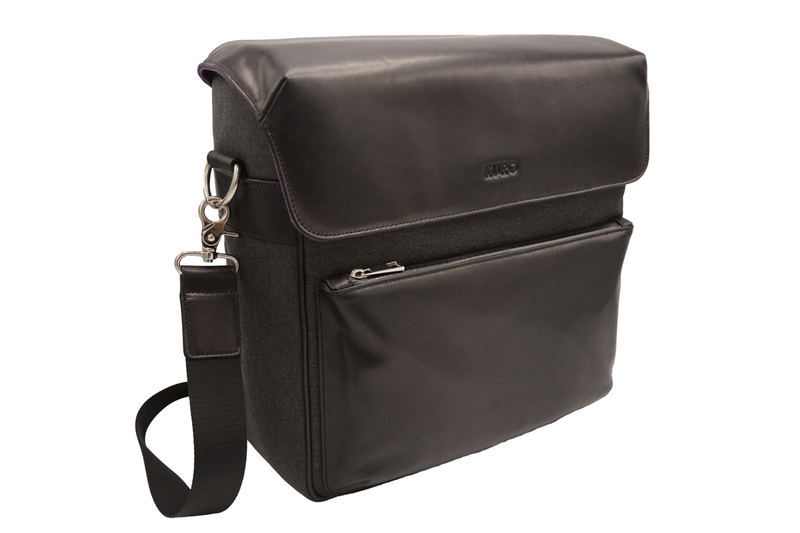 It also includes a “heavy duty leather trolley strap”, which can slide around a luggage “wheelie bag handle” for easy transport while traveling. 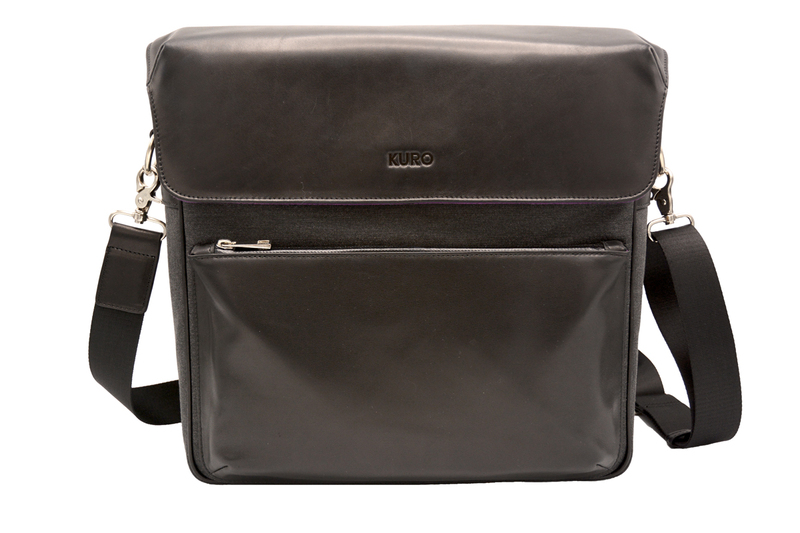 KURO Record Collector Bag (€249), limited to 100 pieces worldwide, is available in a black and purple colour way.